The most legendary action figures of all time  now better than ever! "I am Adam, Prince of Eternia and defender of the secrets of Castle Grayskull.[...] Fabulous secret powers were revealed to me the day I held aloft my magic sword and said: 'By the power of Grayskull! I HAVE THE POWER!'" Ever since the 1980s, these words have come to mean one thing: action-packed adventures with He-Man and the Masters of the Universe are about to follow! Prince Adam  aka He-man, the strongest man in the universe  and his companions took us on epic tales in their battle against the evil Skeletor and his minions. Shiny, bulging muscles, questionable haircuts and characters with names like... Fisto  this was peak '80s! The mighty Hordak not only picks fights with He-Man but also with his former student Skeletor! 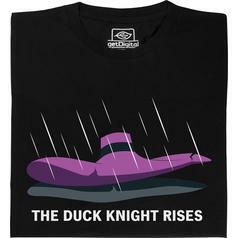 Make sure to avoid his dangerous arm cannon and crossbow! Where there's Hordak, She-Ra can't be far away! He-Man's twin sister brought not one, but two swords and a shield along to make sure her nemesis Hordak stays down! Each character features the mighty Power Punch, which can be activated by twisting the upper part of the figure back and releasing it. Additionally, a character card with new and classic artworks by Errol McCarthy is included with each figure. 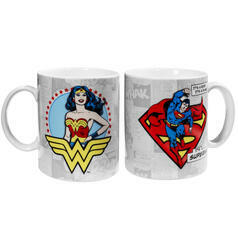 À partir de 6,95 € lade... Mugs DC Comics Mugs de héros pour faire une pause quand on sauve le monde. 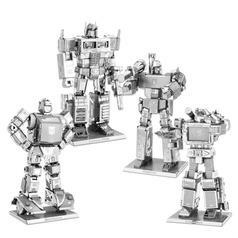 À partir de 12,95 € lade... Maquettes 3D Transformers Metal Earth Tu dois choisir entre la construction d'un Autobot ou d'un Decepticon. Et pourquoi pas les deux ?